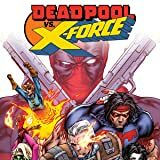 Collects Deadpool vs. X-Force #1-4. Journey back to the gritty, hyper-detailed days of the 1990s, when two characters debuted who would change the face of comics; Cable and Deadpool! 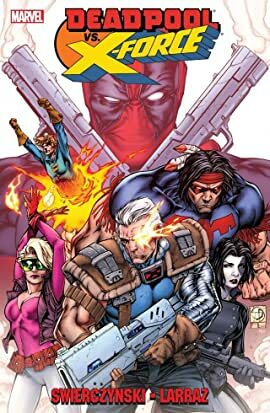 Now, in this new tale, we learn of the pair's first meeting , as Cable and his nascent X-Force race through the timestream to stop the reckless mercenary Deadpool before he destroys American history for good! From the Boxer Rebellion to the present day, can Cable's team stop Deadpool from rewriting the timeline? Journey back to the days of the 1990s, when two characters debuted who would change the face of comics…Cable & Deadpool!